Dr. Cronin is a Resident Physician in the Department of Radiology, and Dr. Hughes is a Professor of Radiology, Residency Program Director, Department of Radiology, University of California San Diego, San Diego, CA. 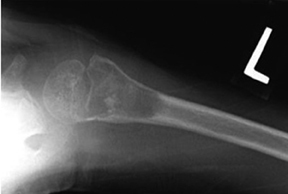 Classically, 10 radiographic features of a bone lesion should be examined. 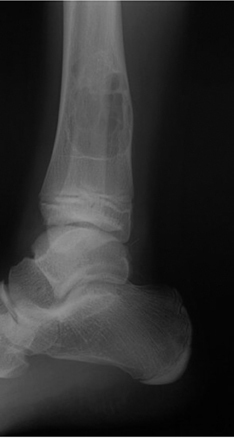 Five of these include: zone of transition (ZOT), presence or absence of periostitis, location in the bone, pattern of osseous destruction, and age of the patient, along with associated symptoms.1-3 Additionally, determining if the process is mono-ostotic or polyostotic can be very helpful. Because these characteristics are so important to properly classifying bone tumors, more should be said about each. Two additional pieces of information that can be extremely helpful are the age of the patient and the presence or absence of pain. 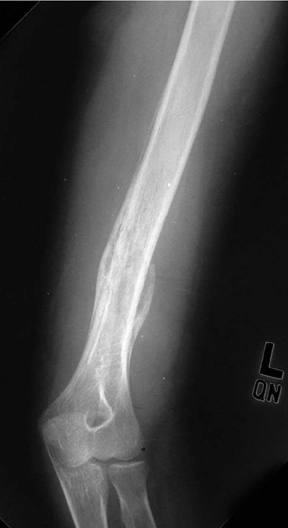 Some lesions, such as Ewing’s sarcoma and primary osteosarcoma, are seen overwhelmingly only in the pediatric, adolescent, and young adult populations. 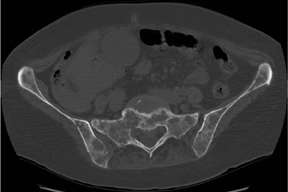 Likewise, EG, chondroblastoma, solitary and aneurysmal bone cysts are rarely seen in adults >30 yrs. 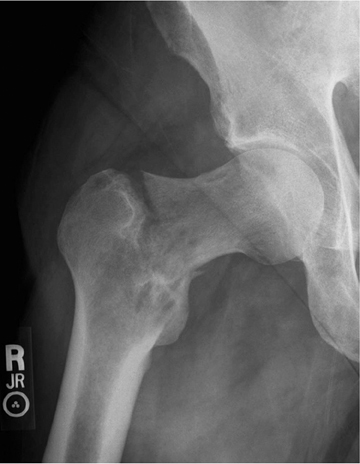 Moreover, while infection, metastatic lesions, and aneurysmal bone cysts typically present with pain, discomfort is rare (in the absence of trauma) with fibrous dysplasia, enchondromas, and solitary bone cysts. Several other characteristics, such as the presence of sclerotic margins, soft tissue involvement, a pattern of bony destruction, endosteal scalloping, and the pattern of matrix calcification, can also aid in diagnosis. 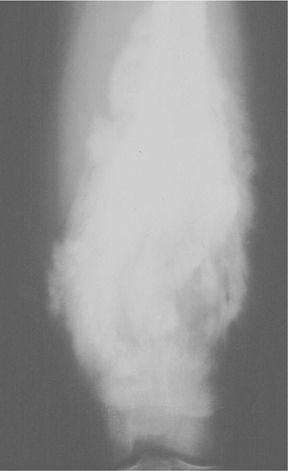 Scintigraphy with Tc99m –MDP bone scan can determine whether a lesion is mono-ostotic versus polyostotic in nature. The following is a brief description of each of the 15 most common benign and malignant osseous lesions the radiologist is most likely to encounter. As mentioned previously, solitary bone cysts tend to be centrally located, painless lesions occurring almost exclusively in patients <30 yrs These tumors appear lytic, have a narrow ZOT and are most often located in the proximal humerus and femur (Figure 4). 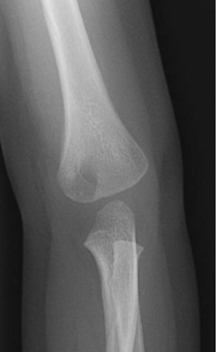 There is no periostitis unless an associated fracture is present. 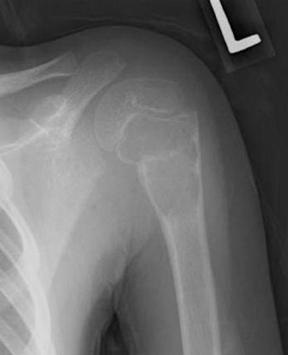 A fracture through an SBC may show the classic “fallen fragment” sign, which is fractured bone that has fallen to the most dependent portion of the cyst.3,4 As expected for a cystic structure, the MRI appearance of these lesions shows hypointense T1 and hyperintense T2 characteristics. This painless, typically metadiaphyseal lesion can be monoostotic or polyostotic. When polyostotic, fibrous dysplasia is overwhelmingly (90%) located on one side of the body.3 The ZOT is narrow and the lesion itself can be quite heterogeneous with a lytic, sclerotic, or mixed appearance (Figure 10). 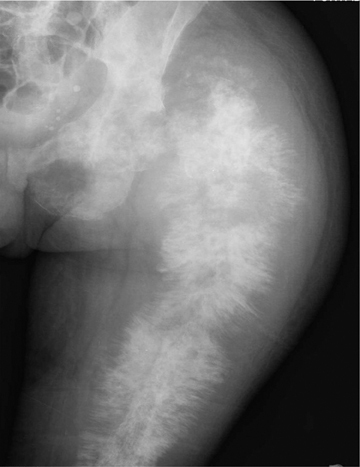 When located in the pelvis, fibrous dysplasia can often appear lytic and bubbly while rib lesions may have a ground-glass appearance and be expansile. Involved tubular bones are expanded and demonstrate cortical thinning. In the hip, this can lead to varus angulation and a “Shepherd’s crook” deformity of the femoral neck.3,6,8,10 The skull base and calvarium are also common sites of involvement. There is no periostitis and the age range of affected patients is broad. 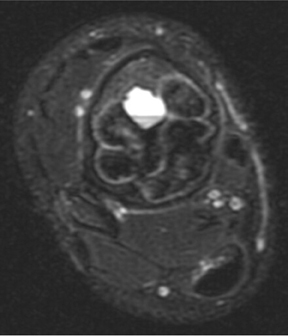 The MRI appearance is nonspecific, typically showing T1 prolongation and variable T2 intensity. 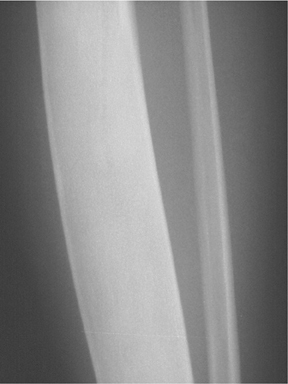 This geographic, lytic lesion is classically described as having 4 qualifying characteristics when found in the long bones. 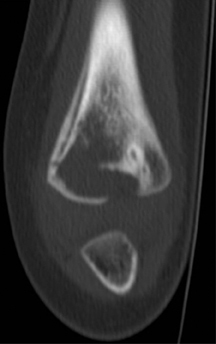 It is eccentrically located, has a sharp nonsclerotic ZOT, abuts subchondral bone, and almost always occurs in individuals with recently closed physes (Figure 3). 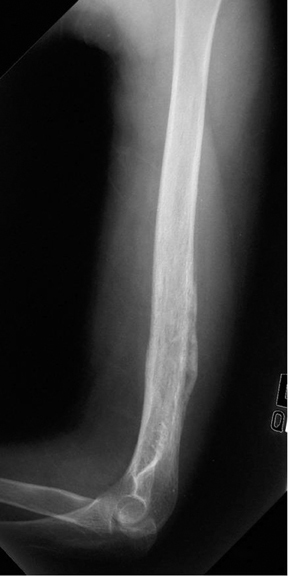 The most common locations are distal femur, proximal tibia and distal radius. 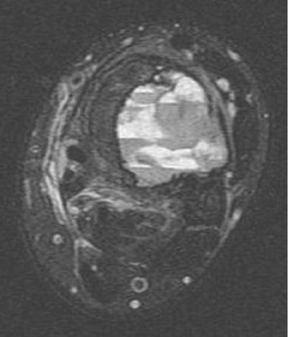 However, atypical locations such as the pelvis and calcaneus are also seen.3,6,7,9,11 In these cases, giant cell tumors need not conform to the above criteria. These lesions are usually mono-ostotic; however, polyostotic tumors or satellite lesions are rarely seen and can be difficult to differentiate from metastatic GCT. Periostitis is not present. There is low signal on T1 and variable T2 MRI signal, which may include hyperintense regions or fluid levels secondary to aneurysmal bone cysts. Eosinophilic granuloma (EG) could also be called the great mimicker of osseous lesions. While EG typically is found only in patients<30 years, there are a few other discriminating characteristics. 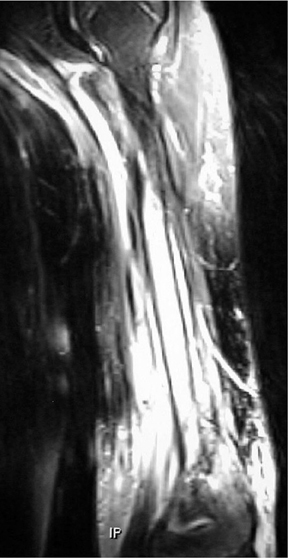 For example, EG may appear lytic, sclerotic, mixed or “moth-eaten” (Figure 1). The ZOT can be narrow or wide. Associated periostitis may cause this lesion to appear aggressive. Infrequently, a bony sequestrum may be present; however, this can also be seen in osteomyelitis, fibrosarcoma and primary lymphoma of bone.3, 6, 8,12 Most EG lesions are monoostotic, but younger patients are at higher risk for developing polyostotic disease. 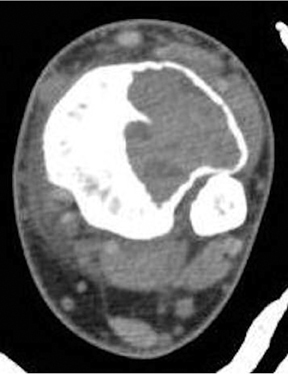 Enchondromas are centrally located, geographic, and predominantly lytic-appearing lesions, which almost invariably contain a chondroid matrix when found in the long bones (Figure 5). These monoostotic, painless lesions may show endosteal scalloping; however, there is no associated periostitis. Enchondromas may be difficult to discriminate from low-grade chondrosarcomas, but the latter is more likely in a history of pain, cortical destruction or soft tissue extension.13 Large or proximal lesions have an increased rate of malignant transformation. In contrast, enchondromas found in the hands and feet may be polyostotic, but they rarely undergo malignant transformation except in Ollier’s disease or associated with soft-tissue hemangiomas, as in Maffucci’s syndrome.3,6 Chondroid matrix is conspicuously absent in these peripheral lesions. 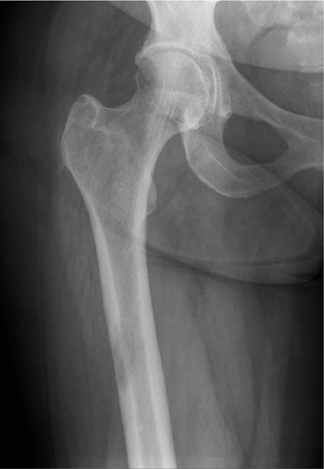 This lesion arises from the metaphyseal region of the long bones as a bony excrescence contiguous with the medullary compartment that characteristically points away from the adjacent joint. 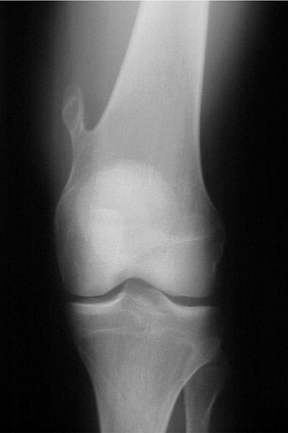 Osteochondromas are typically solitary, appendicular lesions, which cease growing after the skeleton matures (Figure 11). 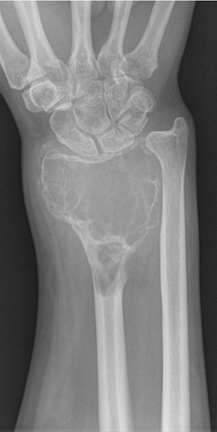 Growth after this point, cortical erosion, or thickening of the associated cartilaginous cap is rare, but suggestive of malignant transformation into chondrosarcoma.3,6,14,15 Multiple hereditary exostoses are a rare, autosomal dominant, polyostotic form of the disease that has an increased risk of malignant transformation. 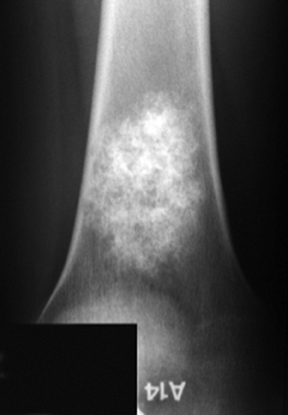 In patients <30 years, osteosarcoma and Ewing’s sarcoma are the most common primary malignant tumors of bone. 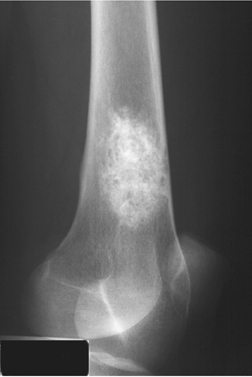 Osteosarcoma can be subdivided into medullary, parosteal, periosteal and telangiectatic, all of which carry different prognoses and treatment options. 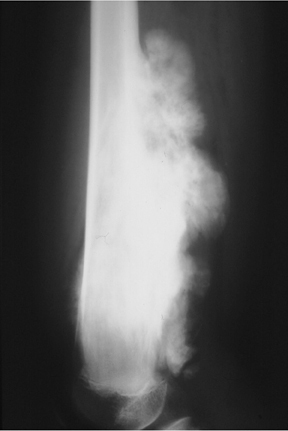 Resnick D. Tumors and Tumor-Like Lesions of Bone: Radiographic Principles. In: Resnick D. Bone and Joint Imaging 2nd Ed. Philadelphia, PA: WB Saunders; 1996:979-990. Manaster BJ. Tumors. 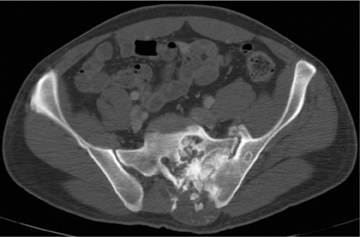 In: Manaster BJ, Disler DG, May DA, Sartoris D. Musculoskeletal Imaging: The Requisites. 2nd Ed. St Louis, MO: Mosby; 2002:1-104. Helms CA. Malignant Bone and Soft Tissue Tumors. In: Brant WE, Helms CA. Fundamentals of Diagnostic Radiology. 3rd Ed. Philadelphia, PA: Lippincott Williams & Wilkins; 2007:1086-1101. 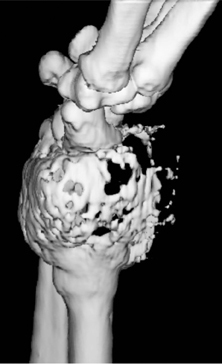 Resnick D. Skeletal Metastasis. In: Resnick D. Bone and Joint Imaging 2nd Ed. Philadelphia, PA: WB Saunders; 1996:1076-1091. Helms CA. Benign Cystic Bone Lesions. In: Brant WE, Helms CA. Fundamentals of Diagnostic Radiology. 3rd Ed. Philadelphia, PA: Lippincott Williams & Wilkins; 2007:1063-1085. Resnick D, Greenway GD. Tumors and Tumor-Like Lesions of Bone: Imaging and Pathology of Specific Lesions. In: Resnick D. Bone and Joint Imaging 2nd Ed. Philadelphia, PA: WB Saunders; 1996:991-1063. Levine SM, Lambiase RE, Petchprapa CN. 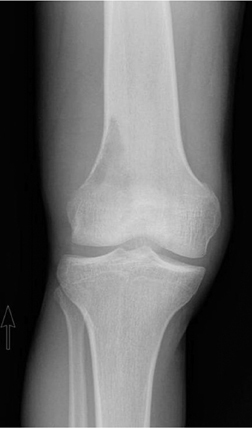 Cortical lesions of the tibia: Characteristic appearances at conventional radiography. Radiographics. 2003;23:157–177. Murphey MD, Andrews CL, Flemming DJ, et al. 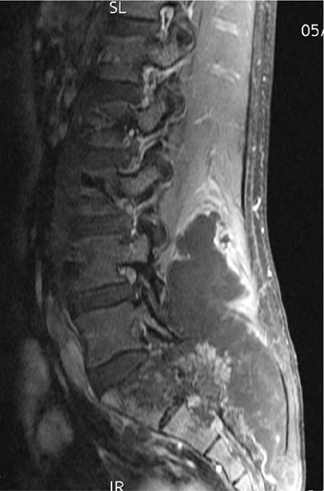 Primary tumors of the spine: Radiologic-pathologic correlation. Radiographics. 1996;16:1131-1158. Feldman F. Tuberous Sclerosis, Neurofibromatosis and Fibrous Dysplasia. In: Resnick D. Bone and Joint Imaging 2nd Ed. Philadelphia, PA: WB Saunders; 1996:1196-1210. James SLJ, Davies AM. Giant-cell tumours of bone of the hand and wrist: A review of imaging findings and differential diagnoses. Eur Radiol. 2005;15:1855–1866. Rodallec MH, Feydy A, Larousserie F, et al. 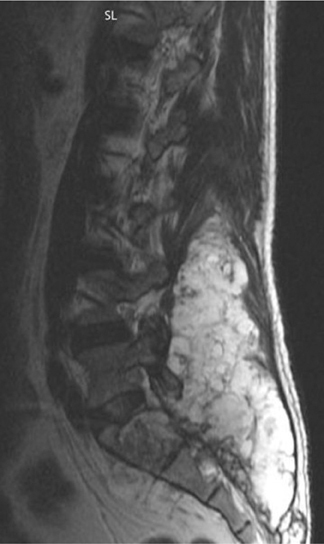 Diagnostic imaging of solitary tumors of the spine: What to do and say. Radiographics. 2008;28:1019-1041. Murphey MD, Flemming DJ, Boyea SR, et al. 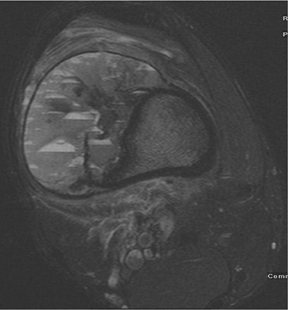 Enchondroma versus chondrosarcoma in the appendicular skeleton: Differentiating features. Radiographics. 1998;18:1213–1237. Kitsoulis P, Galani V, Stefanaki K, et al. 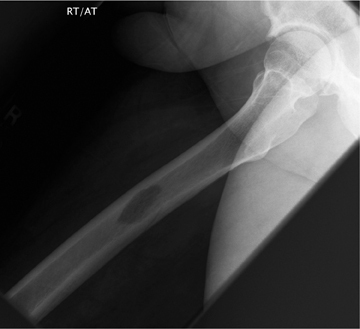 Osteochondromas: Review of the clinical, radiological and pathological features. In Vivo. 2008;22:633-646. Murphey MD, Choi JJ, Kransdorf MJ, et al. 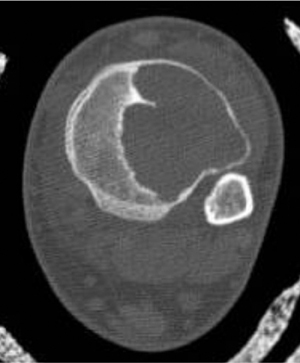 Imaging of osteochondroma: Variants and complications with radiologic-pathologic correlation. Radiographics. 2000;20:1407-1434. Bone tumors and tumor-like conditions of bone. Appl Radiol.